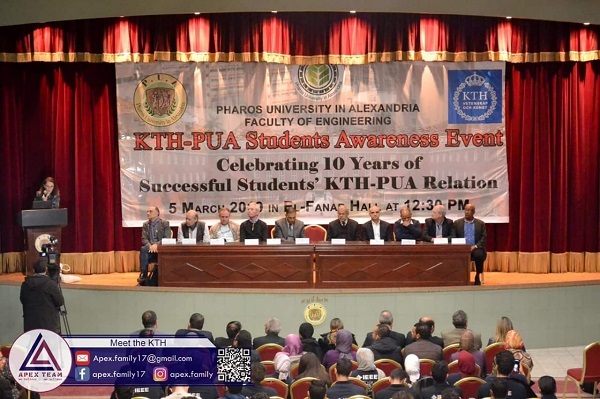 The faculty of Engineering coordinated a meeting between students of Pharos University and those of the KTH Royal Institute of Technology on Tuesday, 5 March, 2019 in the PUA Student Theatre. 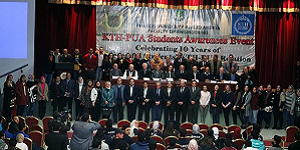 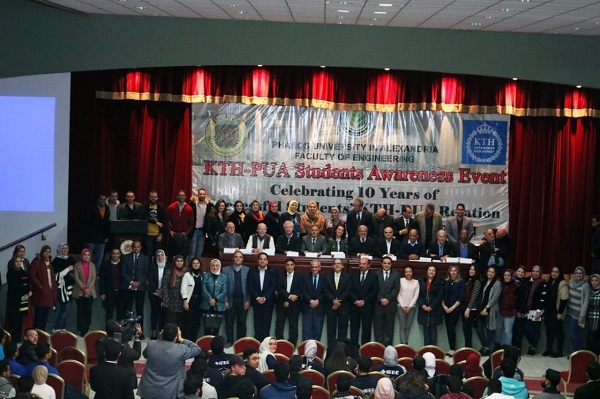 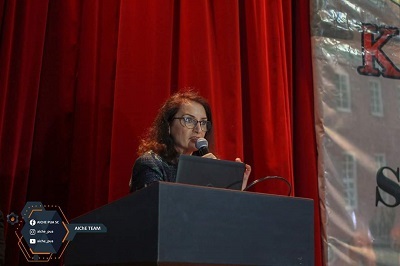 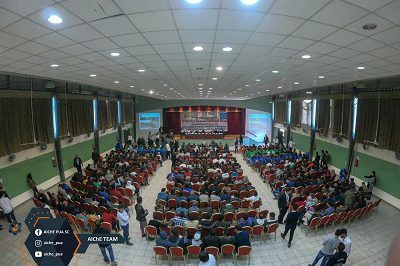 This was held in the presence of Prof. Mahmoud Mohy El Din, the President of Pharos University, Prof. Mohamed Gaber Abou Ali, the Dean of the faculty of Engineering, academic staff members and 500 students. 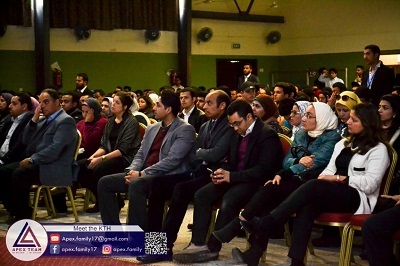 After the meeting, the students spent some leisure time enjoying the chocolate day which was also held at the Student Theatre.